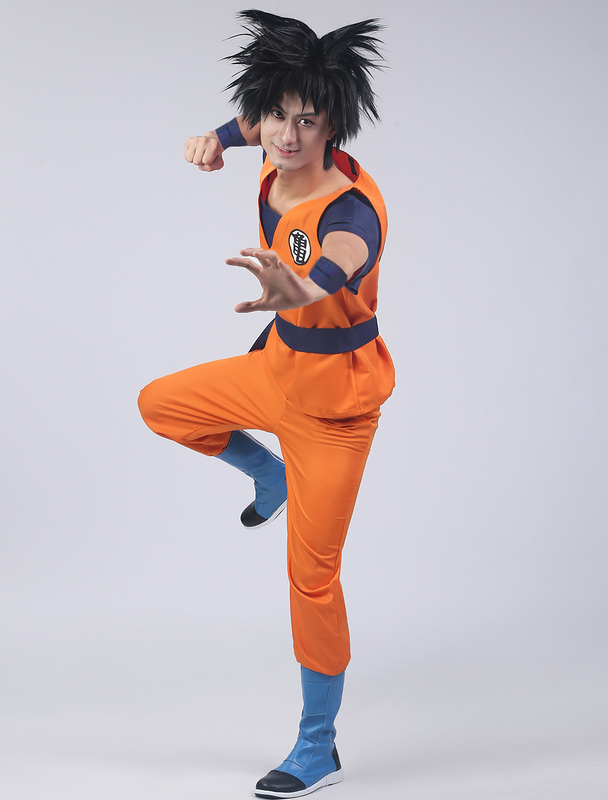 A boy is popular among china and Japan,named sun Goku.The famous cartoon is Dragon ball which is hit in the 1980s.The hero is so strong and kind-heart. But,he has to fight with bad men. 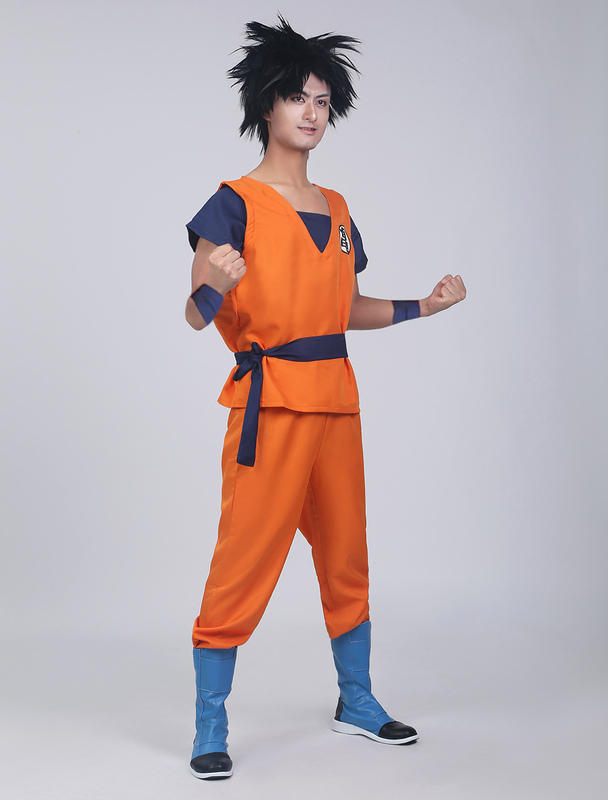 When he is adult, he wears his practicing clothing which looks so cool and shining.Now,there is the costume including trousers, bell, sleeveless coat and arm cover. 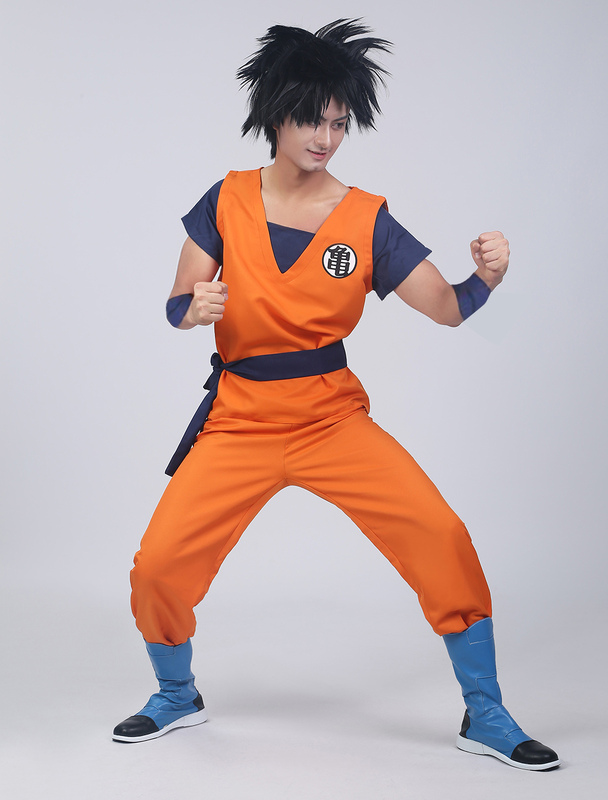 Completely mimic the clothes of Goku, this dragon ball cosplay costume is quite popular and comfortable made of pure cotton. 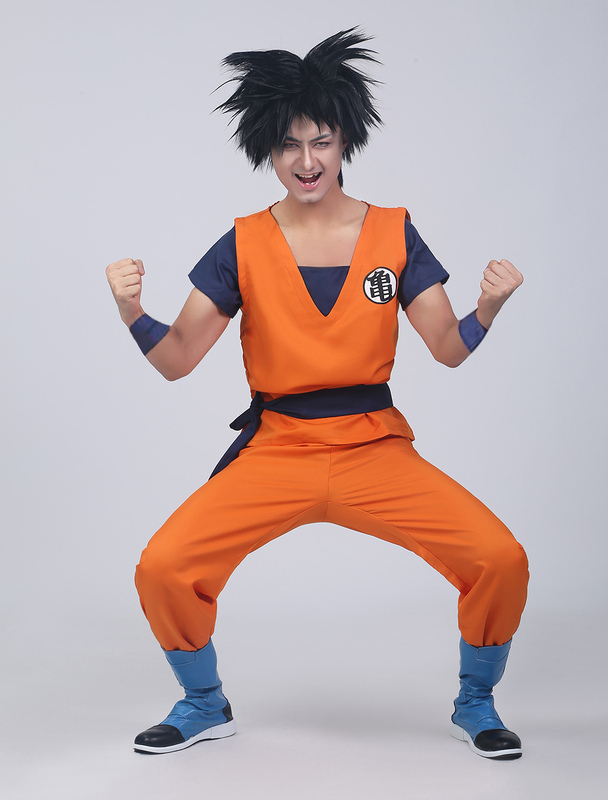 Hello, would you be able to deliver the costume until 8.6 12? Or are the processing time and shipping days of work? -Good Quality. 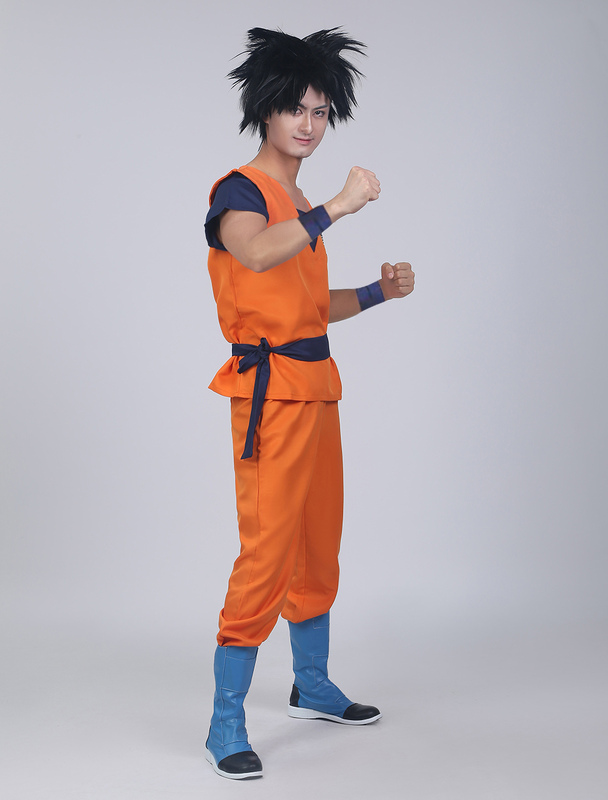 -Looks very similar to real costume Goku wears. 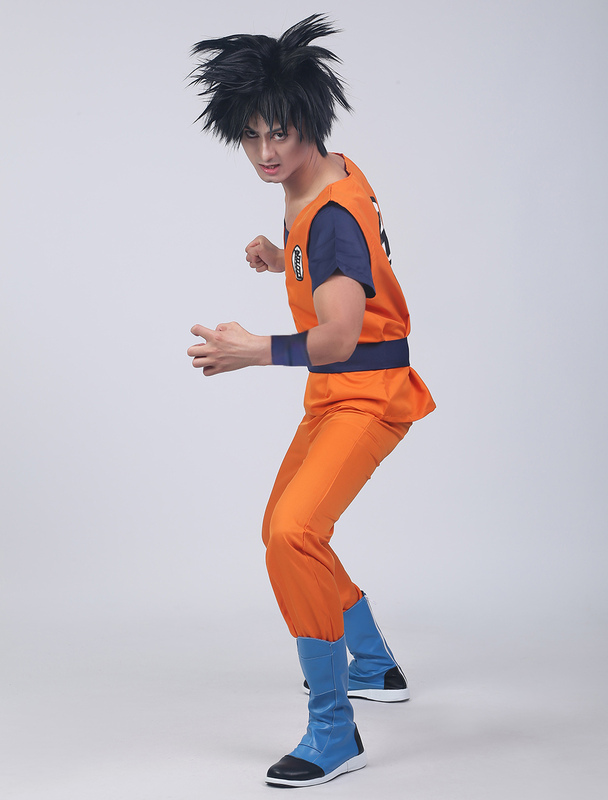 -Out of all the Goku Cosplay Costumes ive seen this is the best. 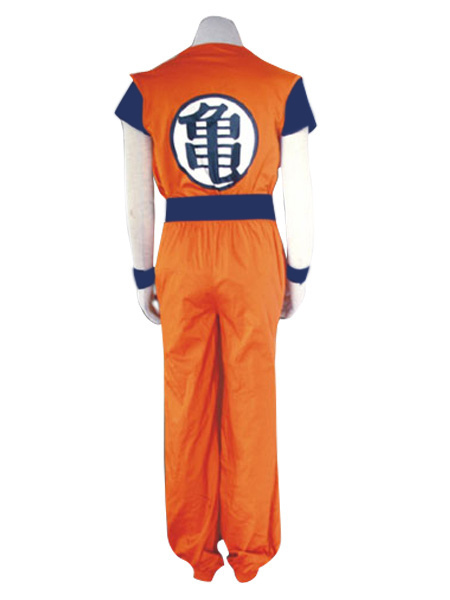 I definatly will buy. Thank you. 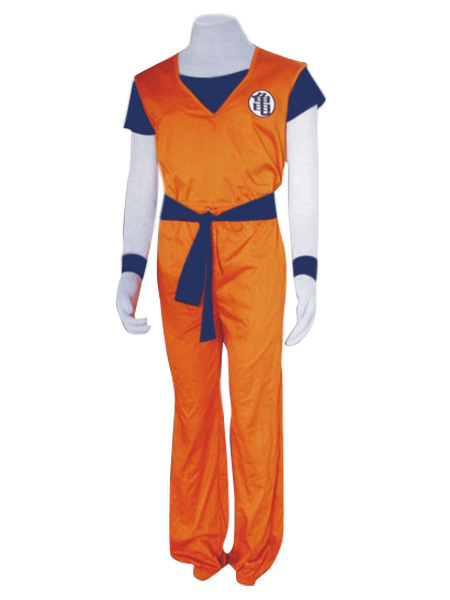 I put 5 stars because the costume is awesome and quality product, You will not regret buying this if You are a DB fan. Although it took a while for the order too come it is pretty sweet and Milanoo was kind enough too refund me the Express shipping fee so I will be using them in the future but I will just be sure too order 3-5 weeks prior too when I need what it is im ordering, overall i am pleased with the product and the customer service. 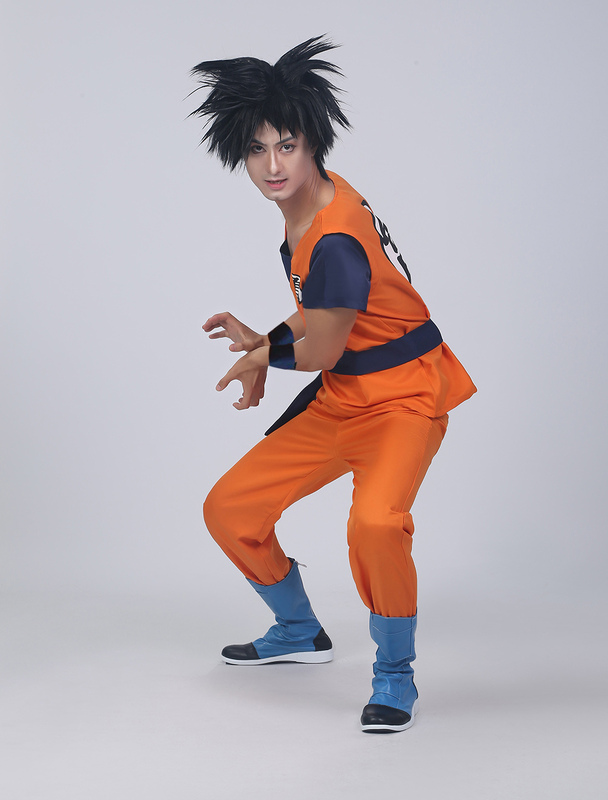 This product is good and I got great shipping they delivered mine two days earlier then the earliest time I could get it the suit is a little on the yellow side though but this product is great and I will probably order again. 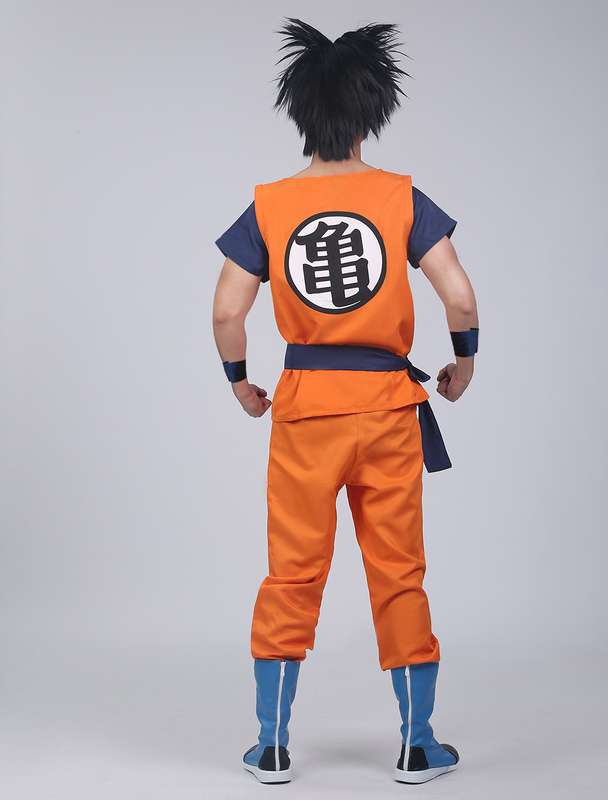 i like the anime very much, i like the cloth. How do I give my custom measurements? how many days for the shipment ? The whole time we need for an order is the shipping time plus processing time in total. You can find processing time listed under the shown pictures, come in business days, and shipping time usually takes 5-7 business days. I've never figured sizes in cm how do you do that please? I normally wear 2xx in men's wear will it stay the same or change to smaller or larger? 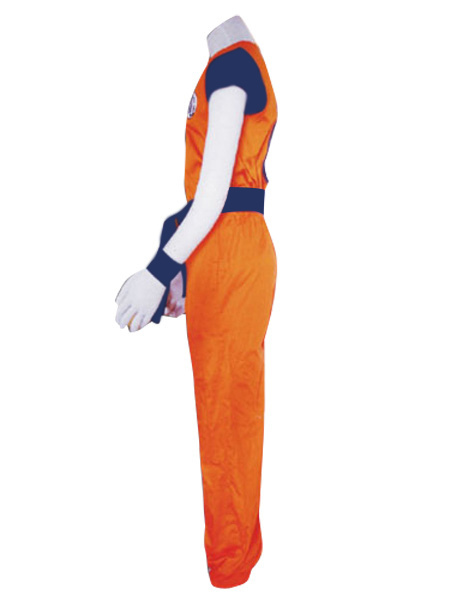 Is this a onsie or are the pants and shirt separate?! 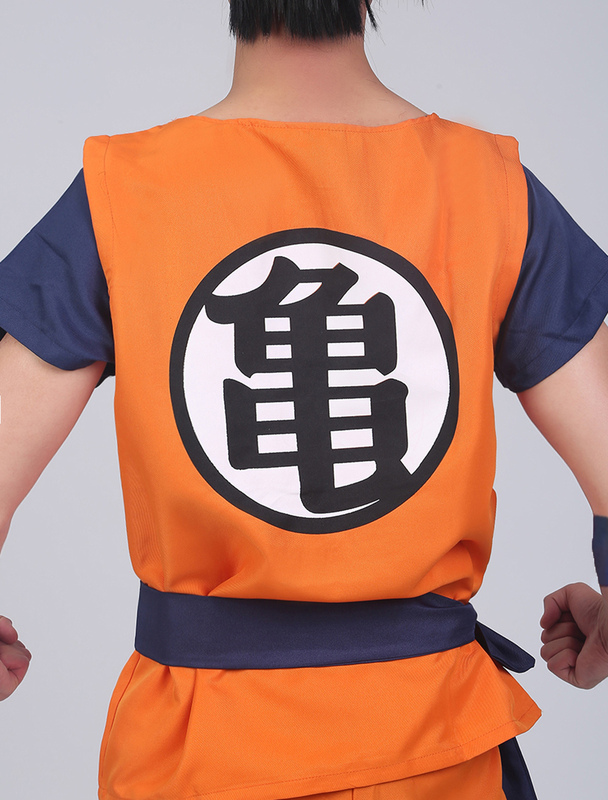 also are the symbols black outlines? 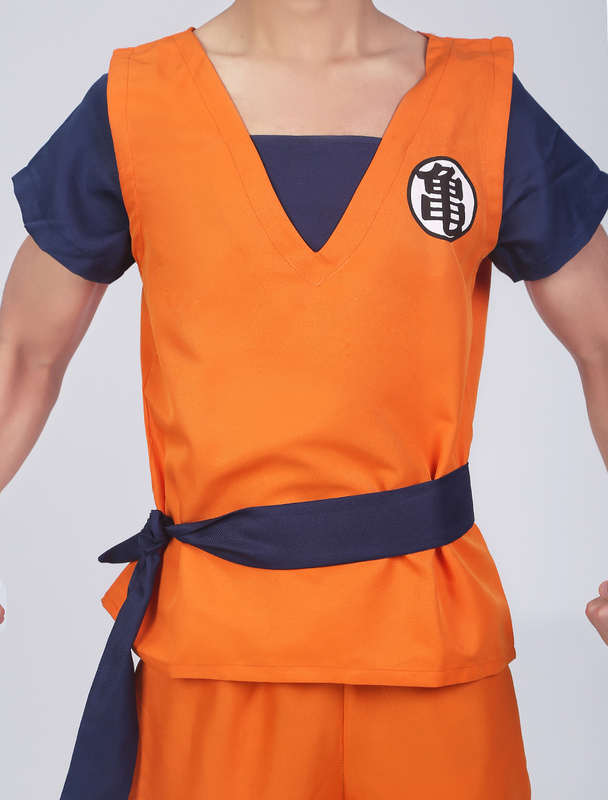 The pants ans shirt are separate. The symbols are dark blue.